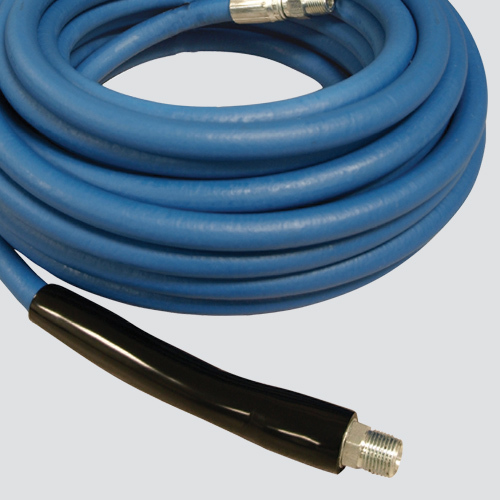 This blue 3000 PSI rubber pressure washer hose is designed for hot and cold water applications where a heavy-duty rugged hose is required. Its synthetic rubber cover is abrasion resistant, has medium oil resistance, and is non-marking. This assembly is coupled with 3/8" male pipe thread x 3/8" male pipe thread swivel, and has one bend restrictor.